Have you ever wanted an old-fashioned two-decimal place adding machine type calculator that works on your computer? Well, I have. I pay my bills and balance checkbooks and all that baloney online and on my computer. I’ve always missed the old-fashioned adding machine type calculators. I have one on my real desktop in this room, but it’s the other desk; not my computer desk. On the computer, I’ve been using a really cool scientific calculator called SpeedCrunch, but it doesn’t have a money setting. Download the application from Roberto’s site. 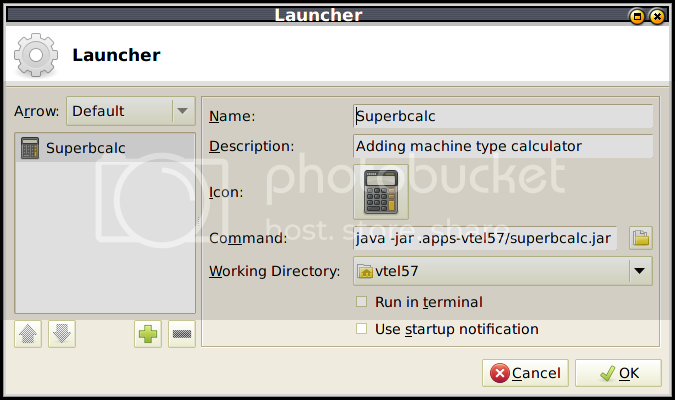 I put the superbcalc.jar file into my ~/vtel57/.apps-vtel57 directory. You can just drop it in your home directory if you choose. You don’t need a .apps folder. That’s just how I prefer to do it. I created a new launcher on my secondary (left side auto-hide) panel. For a command line in the launcher, I used this command: java -jar .apps-vtel57/superbcalc.jar If you placed the file in your /home directory, you would need to use a command that points the Java application to the proper location that you used. Make sure you choose your home directory in the launcher set up as the working directory. I then moved the launcher to where I wanted it on my panel and Voila! It works like a charm. The only thing different you’d have to do to use this app in other distributions and desktop managers is to create your shortcut and place it where you want it. Oh, and you’ll have to have Java installed on your system. Anyway, cool little calculator. Give it a try. 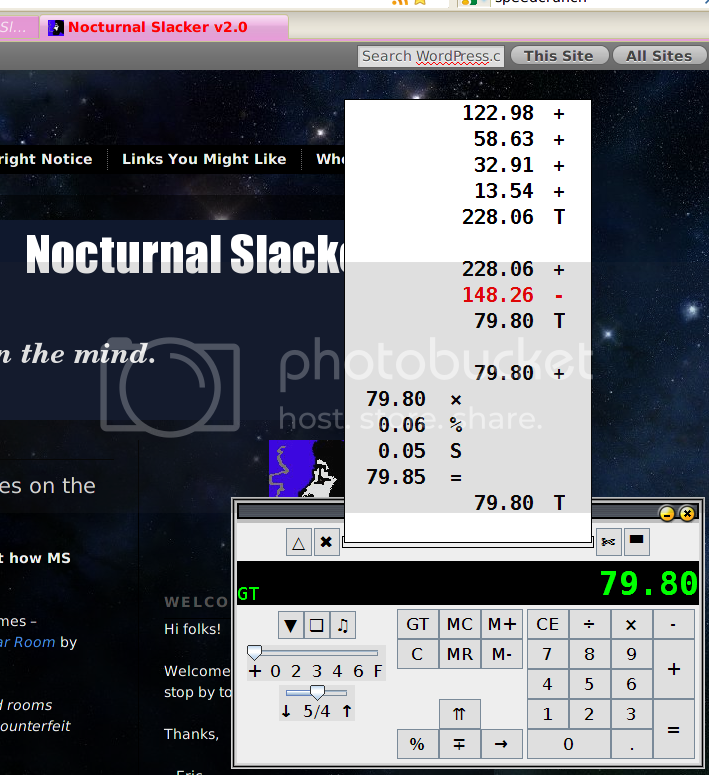 Posted by V. T. Eric Layton on 7 November 2010 in Techie Stuff and tagged adding machine, calculator, desktop, financial calculator, Linux, Slackware, SpeedCrunch, Superbcalc, Xfce.